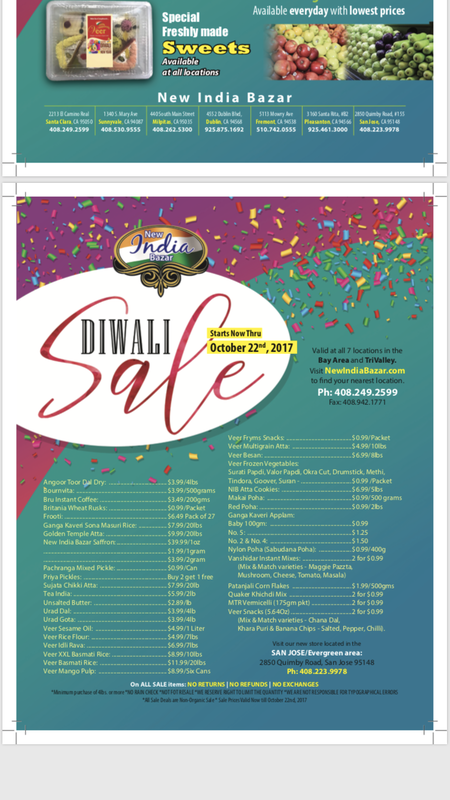 Visit New India Bazar Dublin or Pleasanton to get the great deals for Diwali! Sale ends October 22, 2017. See image for all the sale items. 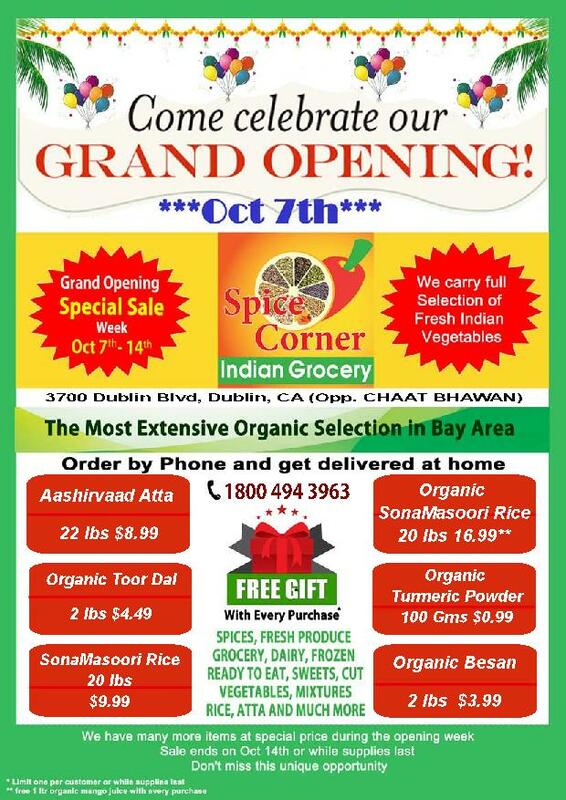 Dear Trivalley, we have a new Indian Grocery store coming up in Dublin, right opposite to Chaat Bhawan (near the Lowe’s complex). The store is to be called Spice Corner. The Grand Opening is planned for Oct 7th. 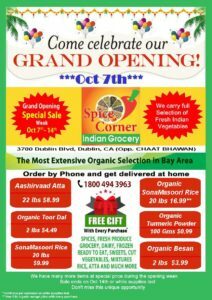 The store is heavily focused on organic Indian Grocery, although we will have a full selection of regular grocery items as well. If you are in the area, you definitely don’t want to miss the grand opening week. Not only do we have a great selection of unique and hand-picked selection of snacks, frozen items, different varieties of rice, wheat flours, idly/dosa batters etc., the opening week sale we are planning is just mind blowing!! Just for example, we will be selling Organic 24 mantra Turmeric Powder (100 gms) for $0.99, Ashirwad 22 lbs whole wheat atta for $8.99, 20 lb SonaMasoori rice for $9.99, just to name a few. I am attaching our complete sales brochure for you to browse. I hope you can come by and enjoy our grand opening celebration if you are in the area. There is a free gift with every purchase too. We will be open from 9:30 am onwards. 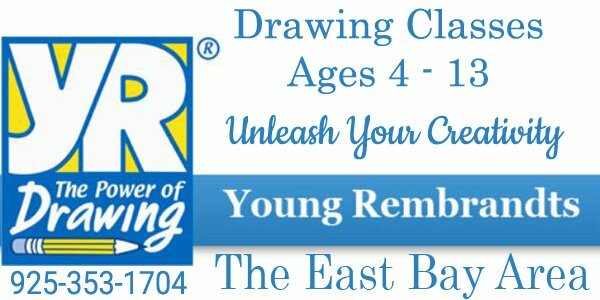 I hope to see you this Friday at the store! !